March just got a little madder. Georgetown Hoyas are next to get their own general release of the Westbrook Why Not Zer0.1, releasing alongside a partnering Air Jordan 32. Georgetown also join other Jordan Brand colleges in UNC and Michigan in receiving this covered pack in celebration of this year’s March Madness Championship season. 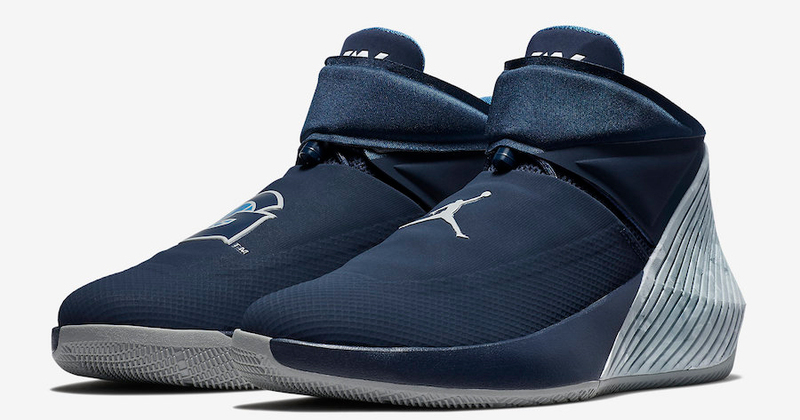 For the Zer0.1, it comes decked out in college navy and pewter grey, with the uni’s logo on the right shoe, a Jumpman on the left, complimentary branded insoles with the Brodie’s logo hitting the tongues. Watch out for the Jordan Why Not Zer0.1 “Georgetown” to release in stores and on Nike.com from March 9th. For more Jordan news, click here.